Summertime grilling is my favorite, and my family really loves kebabs. Especially the kids — somehow everything is more delicious to them when it is served on a stick! 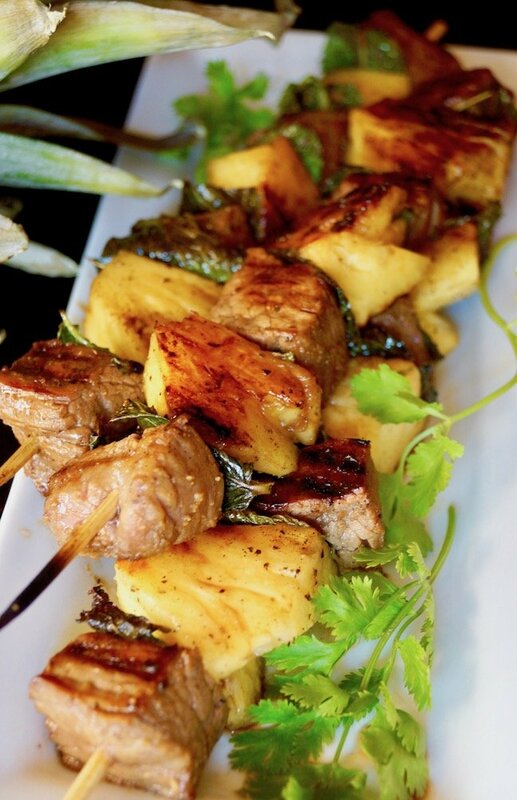 These grilled skirt steak and pineapple kebabs are super juicy because the beef is marinated before you cook it, and the sweet and savory combination of the meat and pineapple is to die for. I include the option to use tamari instead of soy sauce because soy sauce includes wheat and there are many gluten-free versions of tamari available. Make plenty of these because they make killer leftovers. 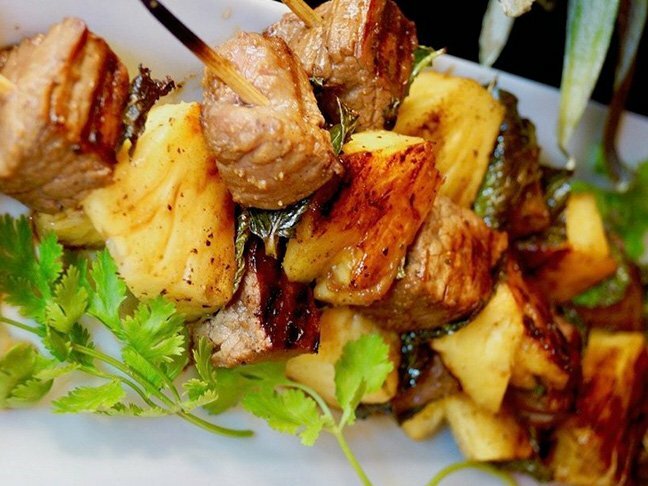 Want to try my easy Grilled Steak and Pineapple Kebabs recipe? Follow the steps, below. 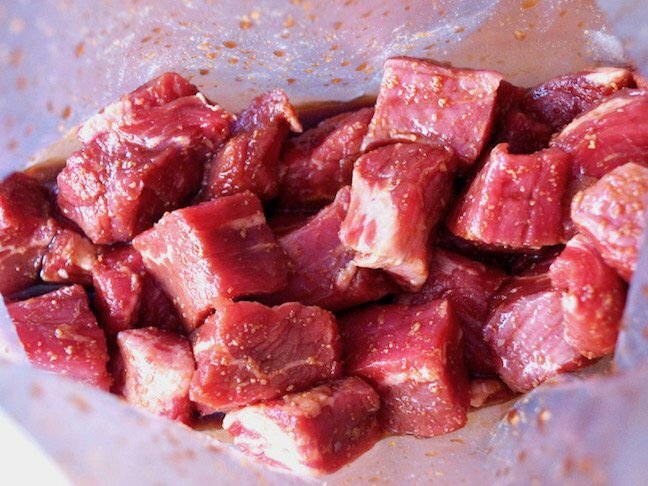 *Note that active prep takes 30 minutes but the meat must marinate for four hours before grilling. Step 1: Add the soy sauce or tamari, garlic and brown sugar, to a large, heavy-duty zip-lock bag. Gently mix, and then add the pieces of steak and move them around until they’re well coated. Step 2: Remove all of the air from the bag and seal it. Place it in the refrigerator for at least 4 hours, and up to 8. 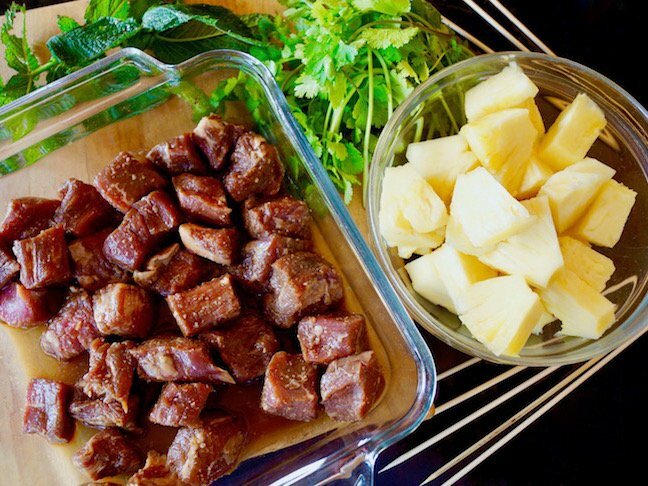 Step 3: About 30 minutes before cooking, soak the wooden skewers in water. Step 4: Remove the skewers from the water and dry them off. 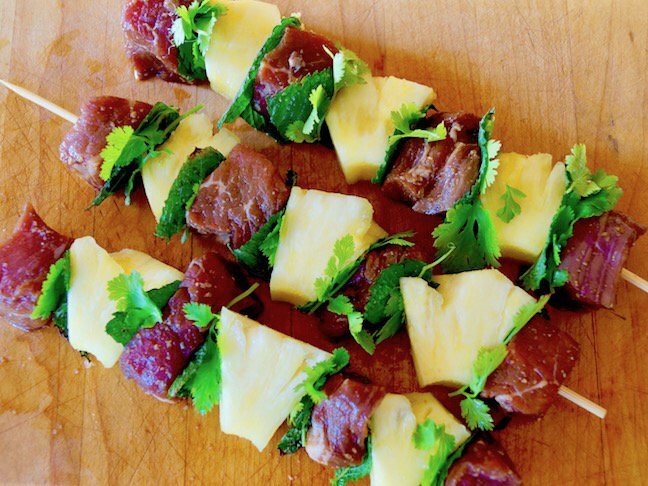 Then assemble the kebabs in the following order: marinated steak, mint and/or cilantro leaves, pineapple, and another mint and/or cilantro leaf. Then, repeat this twice more and end with the steak. Season the pieces of steak with salt and pepper. (Pepper is great on the pineapple, too.) Step 5: Preheat a stove-top or outdoor grill. 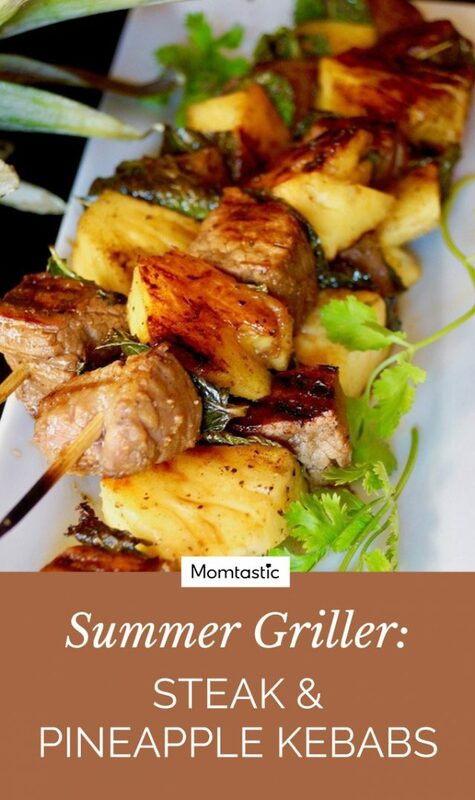 Once it’s very hot, drizzle the kebabs with olive oil and place them on the grill. You should hear a sizzling sound -- if you don't, it's not hot enough yet. Grill each side for about 3 minutes or so, just until the steak is cooked the way you like it. Serve and enjoy!